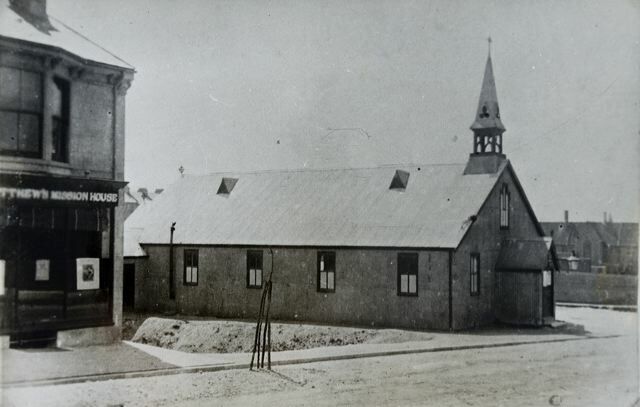 This is a view of the temporary iron church, erected in 1880, in the newly laid out Sutherland Road. To the right can be seen the rear of Brighton College and the houses just visible above the roof are those in Walpole Terrace. This church had a very short life as within three years it had been replaced by the present flint and stone building.